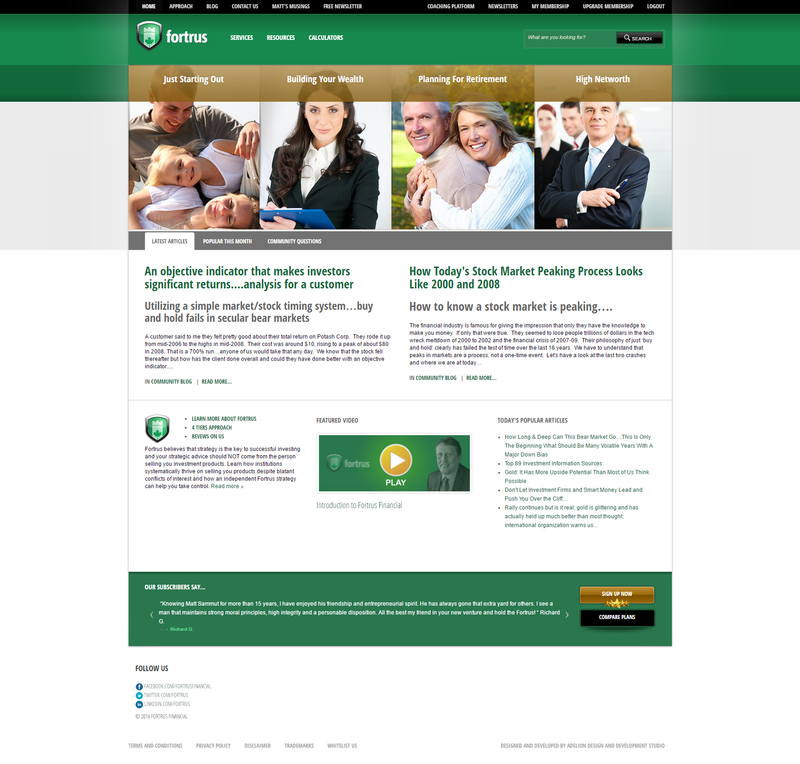 When I took the position with Fortrus Financial, I knew that it was going to take some energy and time to remember all the intricacies of Joomla, the content management system that Fortrus Financial had been using. I have used Joomla a few times before, and like Drupal, I find it lacking. The community seems to be very focused on profit, and there aren’t many free options to do what you want. Also, I find the coding standards to be much more loosely crafted than some of the professional level things I’ve been seeing from the top end of the WordPress community. So when Matt started asking for features that his current Joomla set-up couldn’t easily or cheaply do, we decided to make the switch. Being able to make such changes when needed is a big part of why I took the position at Fortrus Financial. The other big reason is that as the Director of Technology, I’m able to get my hands dirty. It took a while, but over the last few weeks, I’ve built up the WordPress site, moved over the content, and this weekend, I finally pulled the trigger to launch it. Even with my vast WordPress knowledge, it has taken everything I know, plus more than a little research to get this done. I am so excited about the new design, the refresh of the content is something we are still working on, and there are features that we still want to add, but now that the site is running on WordPress, I feel confident that I can continue to add functionality at a low cost and a high amount of efficiency. I’m looking forward to how the public and search engines react to this new design.